Newsweek reports in “U.S. 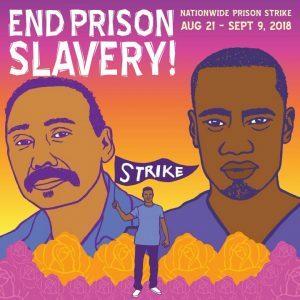 Inmates Launching Nationwide Strike to ‘End Prison Slavery‘” that: “The strike, which is supposed to last until September 9 — the anniversary of the 1971 Attica Prison uprising in upstate New York — calls for an ‘end to prison slavery’ and for a number of prison reforms. Mead is author of Lumpen: The Autobiography of Ed Mead.